(Update 9:47 p.m. EDT): The U.S. Embassy has lifted its travel warning for ferry services between Playa del Carmen and Cozumel. Subsequently, Carnival's brand ambassador John Heald today said shore excursions from Cozumel to the mainland would resume operating as usual. "You will be pleased to know that the ban on the ferries between Cozumel and the mainland of Mexico has been lifted by the US Government. This means effective today we will be offering all those brilliant adventure excursions such as visits to the Mayan Ruins of Tulum," he posted to his Facebook page. (March 4 at 12:34 p.m. EST) -- Several cruise lines have canceled shore excursions in Cozumel, Mexico, that require the use of a ferry. The cancellations -- so far made by Carnival Cruise Line, Royal Caribbean International, Princess Cruises, Norwegian Cruise Line, MSC Cruises and Costa Cruises -- come in the wake of a security alert issued by the U.S. Embassy on March 1, due to the seizing of undetonated explosive devices on a ferry between Cozumel and Playa del Carmen. "On March 1, undetonated explosive devices were found by Mexican law enforcement on a tourist ferry that operates between Cozumel-Playa del Carmen, Mexico," the alert on the U.S. Embassy & Consulates in Mexico's website states. "On February 21, an explosive device detonated on a tourist ferry in Playa del Carmen resulting in injuries, including to U.S. citizens. U.S. Government employees are prohibited from using all tourist ferries on this route until further notice. Mexican and U.S. law enforcement continue to investigate." Passengers on Royal Caribbean's Allure of the Seas received a letter on Friday that said it was canceling all shore excursions that required ferries, Cruise Critic member applehazar posted to Cruise Critic's Royal Caribbean forums this morning. The line also discouraged passengers from booking independent excursions that would require a ferry. The letter, issued by the ship's captain, said: "We feel it is important to make you aware that the U.S. State Department today published a safety warning discouraging travel on tourist ferries in Cozumel. "The. U.S. Department of State remains confident of the Mexican government's efforts to ensure the safety of all tourists in the country. However, in an abundance of caution we are canceling sponsored shore excursions that involve tourist ferries." Other Cozumel shore excursions operated as scheduled. Those whose tours were canceled received a full refund in the form of onboard credit. Similarly, Carnival -- which has multiple ships scheduled to call at Cozumel throughout the March -- canceled all ship-sponsored tours that required ferries between the port and Playa del Carmen. In a statement, the line said: "The U.S. State Department has issued a travel ban for all government personnel from travelling on tourist ferries between Playa del Carmen and Cozumel. "As a result, we have cancelled all ship-sponsored tours that make use of ferries between Cozumel and Playa del Carmen and we are strongly advising our guests that ferries from Cozumel to the mainland be avoided." Compensation details have yet to be disclosed. Princess Cruises also canceled all Cozumel shore excursions involving ferries. "We would not take our guests and crew to a port -- or operate a shore excursion -- where we had any indication there may be an undue risk to safety and security," the line said in a statement. As a precautionary measure, we have cancelled all tours that make use of ferries and strongly advise that ferries from Cozumel to the mainland be avoided. "Guests with pre-paid excursions impacted by this change will be issued a refund to their shipboard account. We will continue to monitor the situation closely. As always, we work closely with government officials to ensure our guest's security at all times." Norwegian, MSC Cruises and Costa have also canceled tours involving ferries and are refunding passengers for their tour tickets. It is unclear how far in advance shore excursions have been canceled. Several other cruise lines have ships scheduled to call at Cozumel in March. They include Celebrity Cruises, Holland America Line, Disney Cruise Line and Silversea Cruises. 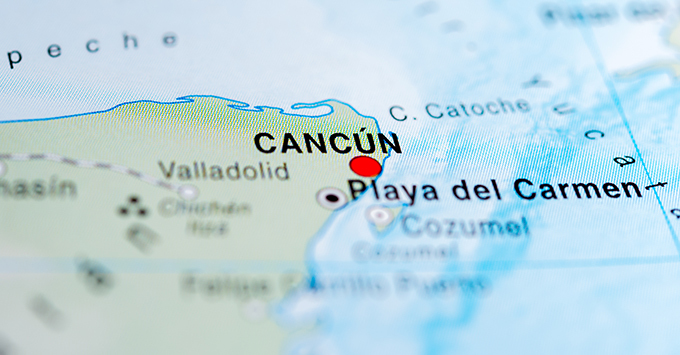 Regent Seven Seas Cruises and Oceania Cruises report that they have no tours affected, but Regent is encouraging passengers on Seven Seas Explorer's March 3 call on Cozumel to avoid independent excursions that involve a ferry trip. Cruise Critic has contacted all of the lines and will continue to update this story as more information becomes available.